Do you want to wake up every morning feeling energized? Do you want to go through the day feeling alive? Do you want to live with vitality? After working with 1000’s of patients over the past 15 years, we have noticed a host of problems and symptoms that are as predictable as the sun coming up each morning! My doctor tells me that everything is OK and that my blood work is “normal” but I just know that something is wrong! So, does this all sound familiar? Wouldn’t it be nice to wake up every day feeling refreshed and ready to live the life YOU WERE MEANT TO LIVE? Living in today’s polluted and stressful environment can overburden us, resulting in a build up of toxins that compromise our health and wellbeing. Toxic overload from the air we breathe, the water we drink, the foods we consume, and the host of negative thoughts we habituate causes our physiology to shift into a sympathetic STRESS response creating a downward spiral of symptoms leading to exhaustion, premature ageing and degenerative diseases such as heart disease, cancer, diabetes, and autoimmunity. 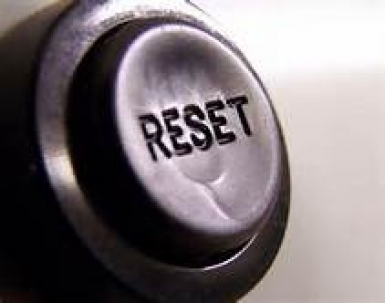 A detoxification is exactly what is needed to push the reset button for your body, your mind, and your spirit. We get it! It’s tough to know where to start! There are so many products on offer and more information than you could possibly get your head around. Other programs are convoluted, unstructured and lack scientific grounding. 1. How detoxing is truly the MOST INTIMATE thing you will ever do to heal your body. 4. Why it’s important to target all organs of elimination and NOT JUST THE COLON! 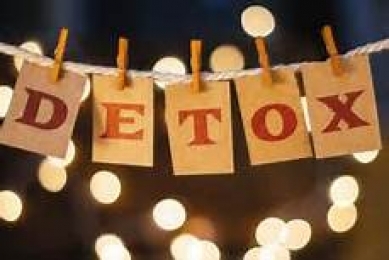 8 Reasons Why This Detox Program is Unlike Anything That is Currently Out There! 1. 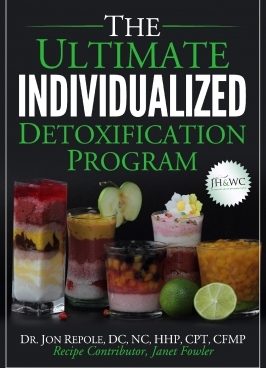 Includes a complete detoxification program for mind, body and spirit. 2. Targets ALL organs of elimination such as the liver, kidney, skin, lungs, mind, lymphatic system and gastrointestinal system. This course was developed by Dr. Jon Repole, a holistic health practitioner, alongside his team at the Jacksonville Health and Wellness Center. (Learn More About Us HERE). We invite you to take the journey 1000's of patients have done already. EXPECT TO CHANGE & JUMP START YOUR LIFE! A 30 minute One-on-One (in-person or on-line/phone consultation) to help with customization, implementation, and what additional testing should be considered and, of course, what to do after the detox. Specialized on-line FMlogic software analysis (intake assessment) leading to a 30-page computerized report detailing your prioritized organ system dysfunctions, suspected food "allergies", suspected environmental exposures, nutrient depletions, and simple dietary analysis. This must be completed prior to your 30-minute scheduled visit.